In my original idea, this lamp could light up automatically when environment getting dark. When users laying heads on it, the light turns off. But there is some problem with ATTiny. Finally the lamp can be turned off when laying heads on it. But it can’t light up automatically when environment getting dark. 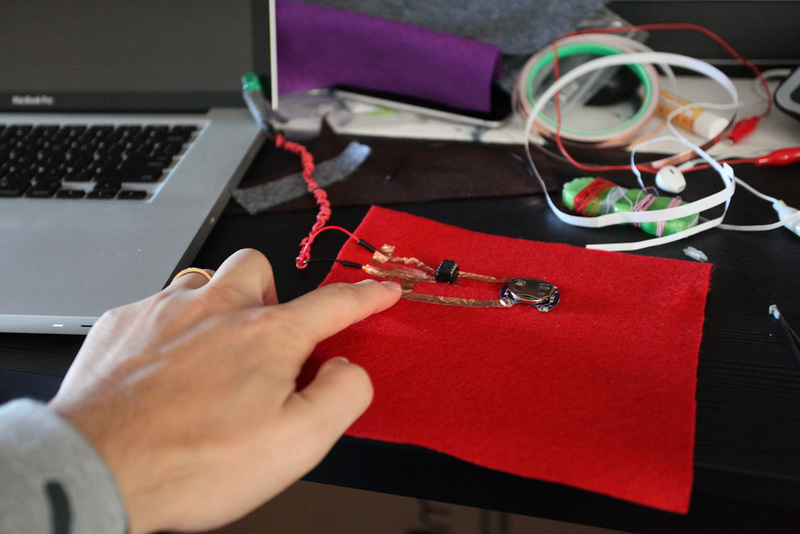 I used copper tape and conductive clothes for making the circuit. I haven't manipulated photocell sensor finally, as I haven't solved the problem with ATtiny.